Co-creating a new paradigm through permaculture & our intentional community of people who are motivated to inspire conscious living by learning & sharing how to live in symbiosis & balance with nature, pooling our resources to inspire miracles! Our vision is to “be the change we wish to see in the world”, by creating and living an inspiring example of natural living which is in symbiotic balance with the natural world and our surrounding communities. 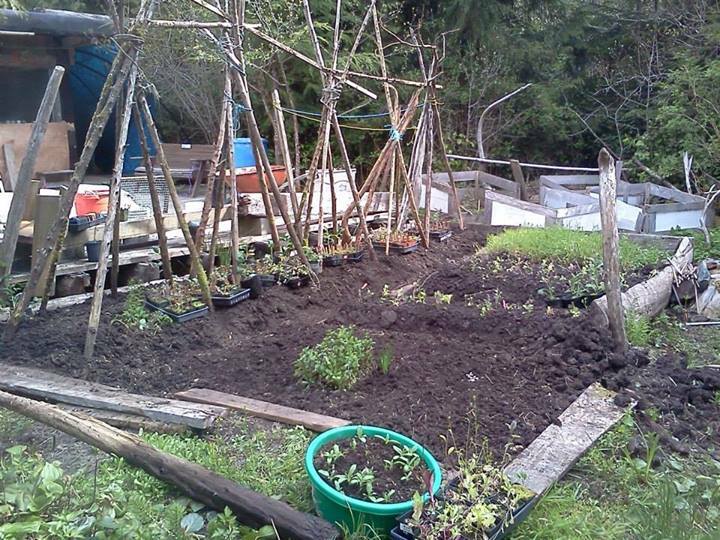 "Symbiosis EcoVillage" refers to the collective stewardship of 17 acres 2 miles from the town of Tofino. The word symbiosis holds our hopes for a future in peace, which is cooperative balance between co-stewards of the land and the surrounding community. We are in transition, growing into a healthy community, with hope to inspire consciousness by learning & sharing together, to pool our resources thereby inspiring miracles! There are many holistic natural solutions that nurture our human needs in harmonic symbiosis with the natural environment. We are planning to further demonstrate the beauty, comfort & simplicity of living in natural ways. We want to help create a new paradigm of living, evolving the works of our ancestors and more recent inventors to live locally, to produce a teachable model of natural living within our egalitarian community, guided by continually considering the effects of our actions upon the next 7 generations. Our plan encompasses a permaculture school offering accommodation and workshops, always based on sustainable methods of living, while growing plenty of organic heirloom foods, as a basic factor of local cooperative culture and compassionate action. By building energy systems to support earth friendly homes, such as cob cabins, earth-ships and yurts through workshops based on sustainable earth friendly technologies, we will provide education as well as comfy accommodations for our members and guests. 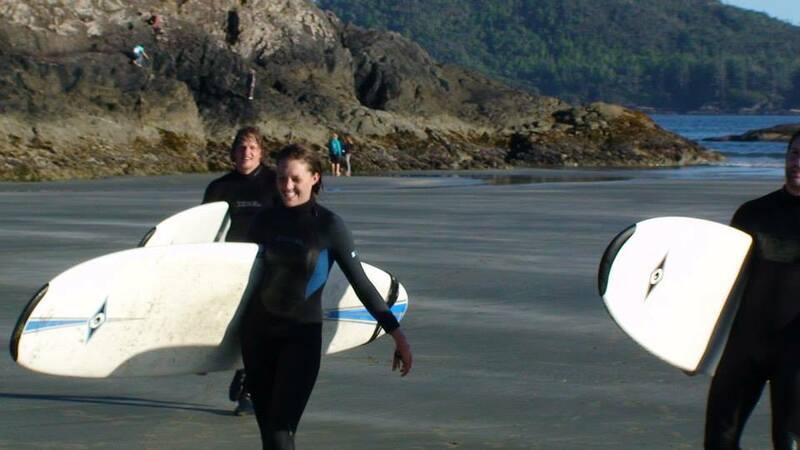 Let's enjoy the fresh natural beauty of the coastal wilderness around Tofino, surfing, kayaking, hiking and all the abundance that our ecovillage has to offer! We are learning to manage our interests & resources as free men and women, through the consensus model of decision making, that honors every person by equal say, equal pay & rotational positions so we get to learn and be capable, practicing many skills. We are co-creating our vision of a sustainable community. (What will yours be?) Join us in changing the world into a better place! A percentage of our budget will protect the Bonobo Ape, Tigers, Elephants and 1500 acres of the Amazon. We want to remember our dependence within the whole web of life, by maintaining our inherent empathetic and egalitarian nature. We are seeking all sorts of handy people: healers, artists, inventors, singers, entertainers, potters, web designers, jewelers, writers, clothing designers, mechanics, teachers / guides, bio-dynamic & permaculture gardeners, nutritionists, living foods chefs, etc. to help co-create our dream, share and teach this knowledge!